GOP members of Congress want a ban on CRISPR of human embryos. They are moving to block genetic modification of human embryos using the new CRISPR gene editing technology. The new proposed spending bill part way through the approval process with the nugget of good news of a possible NIH spending boost after many years of losing ground against inflation, reportedly also contains language to block gene editing of apparently any human embryos even just for research. Update: More recent interpretations of the bill including by Hank Greely (quoted in media and in his comment on this post) read things such that human embryo research in the lab using CRISPR would be permitted. Material in this post has been edited to reflect this additional new context. Bioethicist Art Caplan was quoted in a Business Insider piece that this ban is a bad idea since it would drive the research into strictly privately funded research labs…perhaps with less transparency. I support continued research including in some limited cases using CRISPR in human embryos with appropriate ethical and institutional oversight and training for the researchers involved. You can see more on my views in my TED talk (also pasted above) and in my new book on human genetic modification. “the spending bill also blocks gene editing — denying the FDA any funds to review or approve clinical research in which a human embryo is intentionally created or modified to include a heritable genetic modification.”. To be clear, I do support a moratorium on genetic modification of embryos, but only specifically when there is the intent to use them in a clinical setting to create genetically modified people. 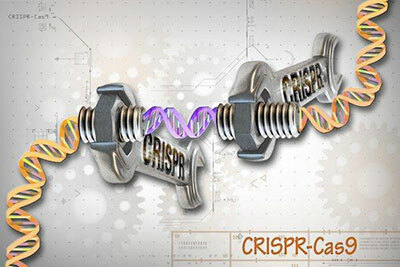 The Washington DC summit at the National Academy of Sciences two weeks ago (#GeneEditSummit) discouraged heritable clinic applications of CRISPR in humans, but did not go so far as to propose a moratorium. How did my top 20 stem cell predictions for 2015 fare? I’m pretty sure this applies only to clinical research because it only affects INDs. Dickey-Wicker also applies, so there will be no federal funding for such research, but, for the current fiscal year (only), this limits a privately funded party from getting an IND from FDA for this work when it involves transferring a genetically engineered human embryo (a drug in this legal context) into a woman’s uterus. No one was going to seek such an IND this year and FDA isn’t going to allow such an IND for a long time. This may, though, inadvertently (?) ban mitochondrial transfer experiments, which might have gotten to the IND stage (though I suspect not this fiscal year). The issue of derivation & use is written into the current NIH funding guidelines. You cannot receive NIH funding to create or use/destroy human embryos for science in the US. The NIH reiterated that after the China paper on non-viable pre-embryos gene editing. This restriction includes the use of donated pre-embryos, as the federal govt. doesn’t underwrite the destructive practices of pre-embryos at present (even if they are non-viable – I wrote about this in May earlier this year. See my review/opinion piece: “Germline Science & Embryo Use – The Law & Scope for Applied Research” http://msemporda.blogspot.com.es/2015/05/germline-science-embryo-use-law-scope.html ). This proposed funding bill doesn’t change anything on that level as it’s an already existing funding “restriction.” This is not a proposed legal ban/moratorium on research. What is allowed to be funded is the investigation of federally registered embryonic stem cell lines and the differentiation methods to study and create derivatives of those pluripotent cells for medical treatments. This fine line was draw years ago between creating/using embryos and the investigation of the products derived therefrom and is the current status quo. This is now proposed to be backed up with a FDA review ban via no funding (term based provision, as with Dickey…). So in essence the funding restrictions existed before and the FDA may be restricted from considering gene edited INDs which limits the practical implementation thereby making a point on the matter. This aspect of FDA review of course has the potential to be stricken from future appropriation bills. My view is this development is more window dressing than anything else and the real challenge will be to appropriately update Dickey and write new funding guidelines that addresses the current state & movement forward in the science. There needs to be a basis to allow for morally sound federal support in this area with a view to scientific research, advancing knowledge and ultimately medical benefit, If & When deemed appropriate. It would be an error imo not to back the research community on this in some form. The question of Mito INDs is pertinent but to-date it’s been pushed back time and time again and not received federal support, so nothing different there either. That should be part of the inclusive rewrite, given developments. Below are the pertinent items in the NIH Guidelines. A. NIH funding of the derivation of stem cells from human embryos is prohibited by the annual appropriations ban on funding of human embryo research (Section 509, Omnibus Appropriations Act, 2009, Pub. L. 111-8, 3/11/09), otherwise known as the Dickey Amendment. B. Research using hESCs derived from other sources, including somatic cell nuclear transfer, parthenogenesis, and/or IVF embryos created for research purposes, is not eligible for NIH funding.